Open: April to October... The “Aegean Blue Villa” is built in harmony with the landscape, in an exceptional location, overlooking the Hersonissos Bay, with the sparkling blue waters of the Aegean Sea and the cosmopolitan tourist resort of Hersonissos. 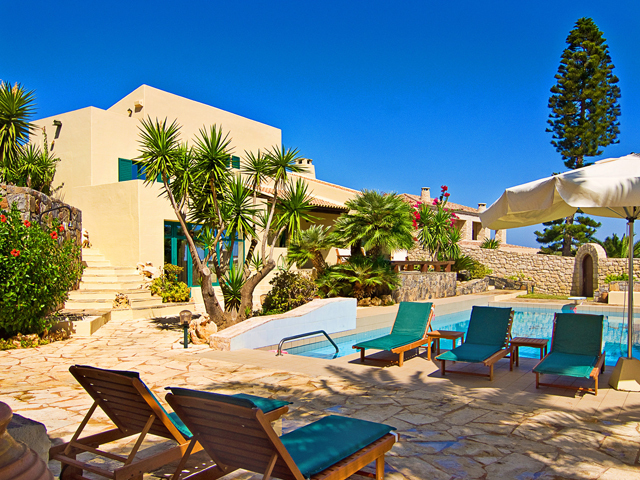 Open: May to October... Porto Village is set amidst a well-kept garden in the village of Korakia in Hersonissos. It offers self-catering accommodation, a restaurant and free Wi-Fi in public areas. Open : May - October... 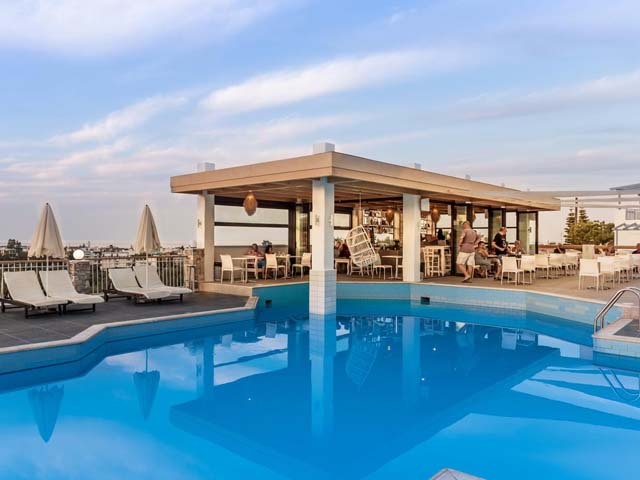 Welcome to MEMORY HOTEL, located in the popular travel destination, Port Hersonissos, Crete, 25 km from Heraklion airport to the center of the island. 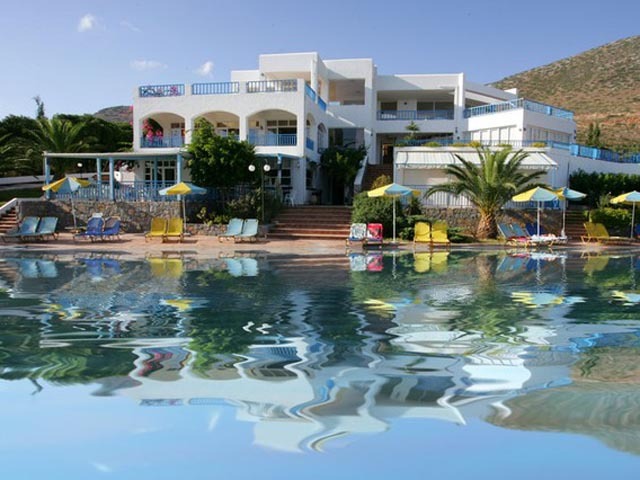 Open: April to October....The Sunshine Village hotel in Crete offers a variety of room types and many other amenities. 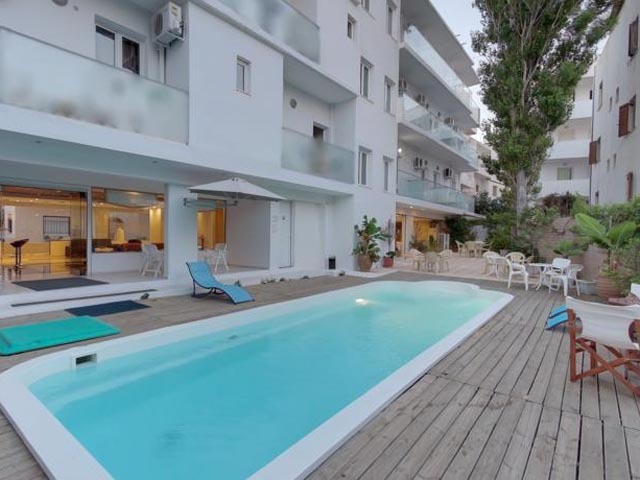 Sunshine Village, is located in one of the most beautiful areas of Crete, consists of complexes near the sea, offering comfortable accommodation. 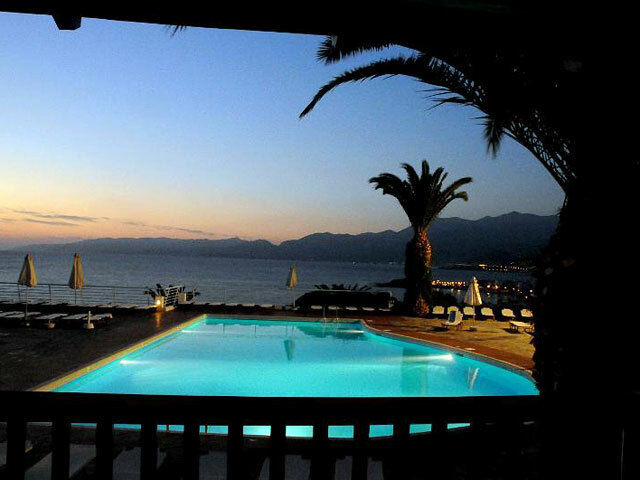 Open: April to October...Hersonissos Village Hotel & Bungalows is a 4 star hotel situated in the outskirts of the port of Hersonissos.